Jennifer Mann is a sculptor based in the Macedon Ranges near Melbourne, Australia. 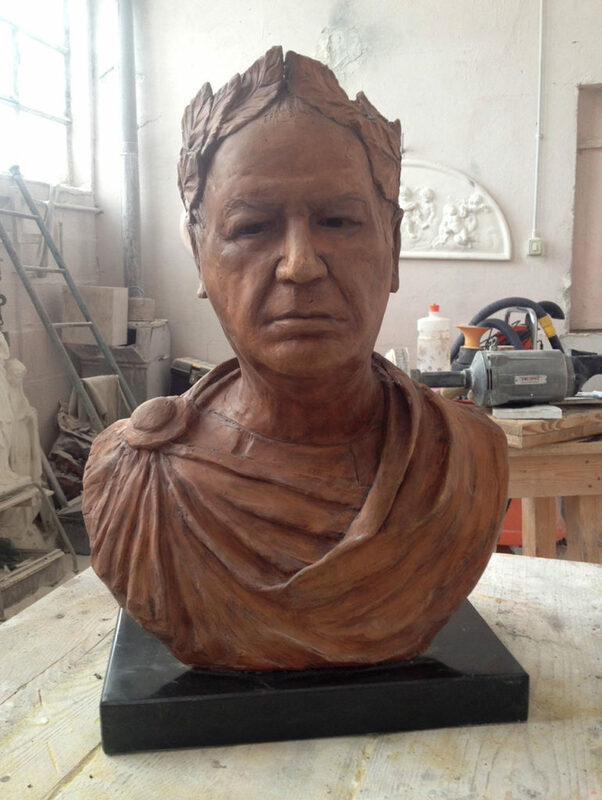 Her body of work focuses on figurative sculpture and portraiture, working in a range of media, but most often in terracotta, bronze and marble. Jennifer has commissioned works on permanent public display and in private collections in Australia and Italy. 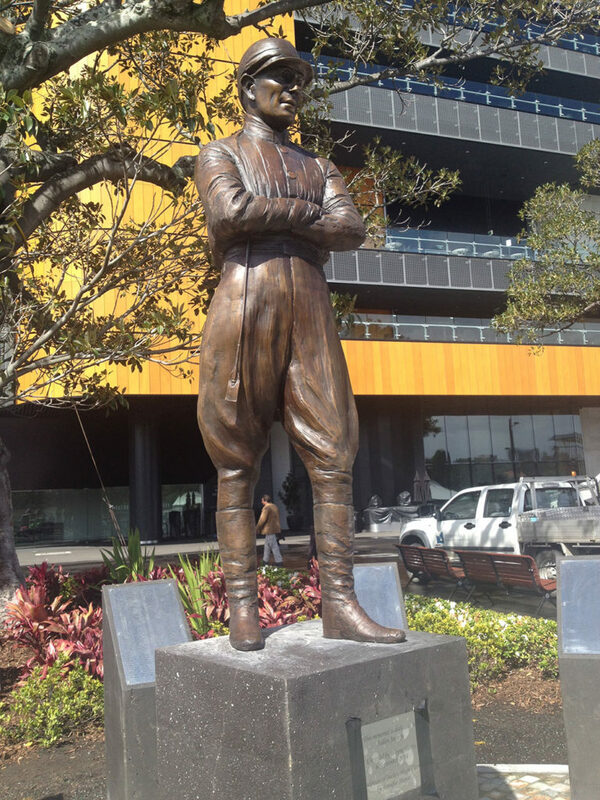 A larger than life-sized bronze sculpture of jockey Hugh Cairns was installed at Caulfield Racecourse in Melbourne in 2004. A second edition was created and installed at the Royal Randwick Racecourse in Sydney in 2014. 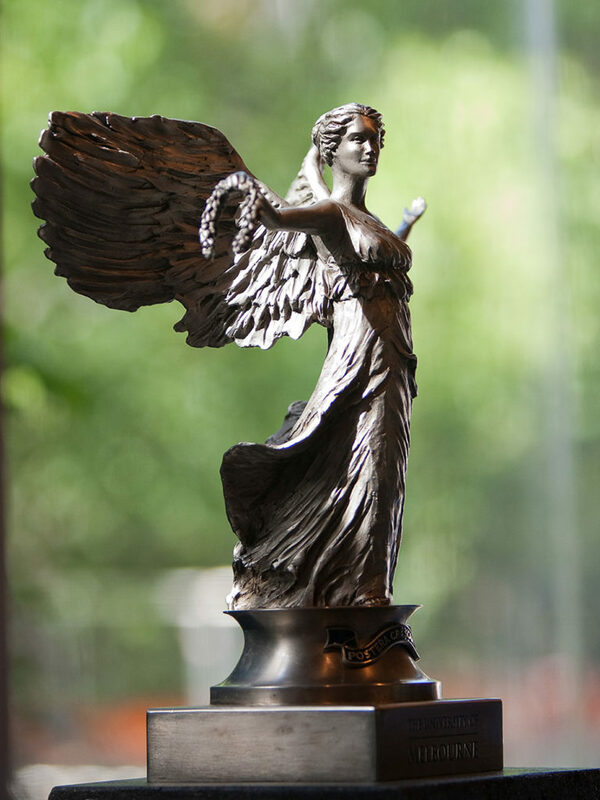 A bronze sculpture of the Winged Victory, Nike, commissioned by the University of Melbourne in 2009, is installed at the University’s ceremonial Wilson Hall. 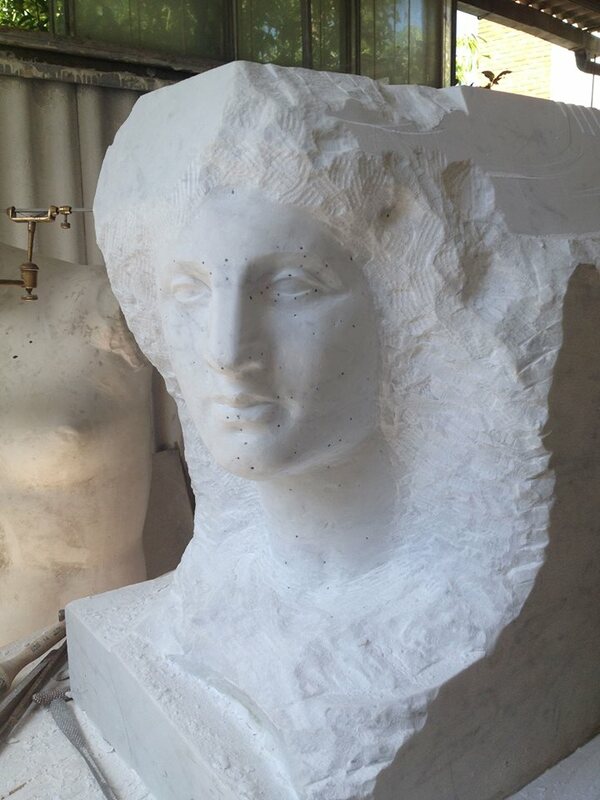 For the past several years Jennifer has spent time in Italy working on specific sculpting techniques such as traditional terracotta sculpting in Florence, and marble carving in Pietrasanta, near Carrara. 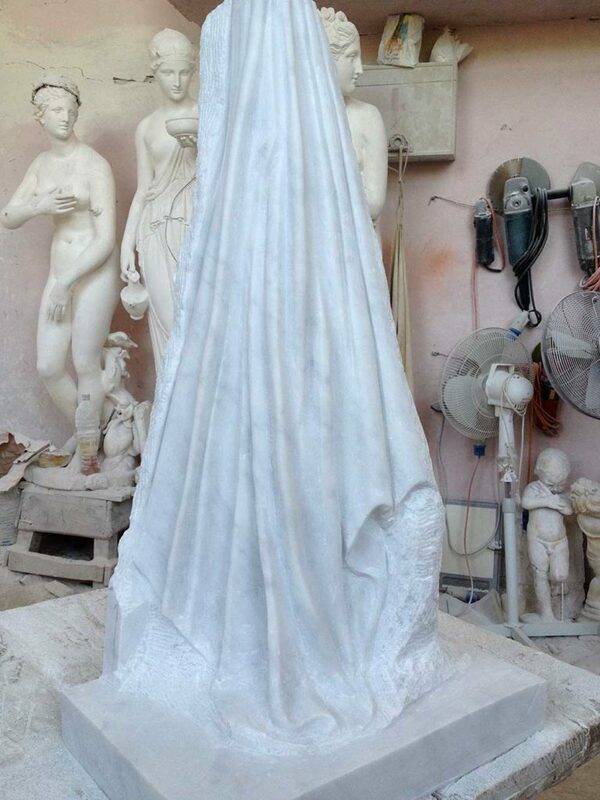 Venus Emerging: Carrara white marble. 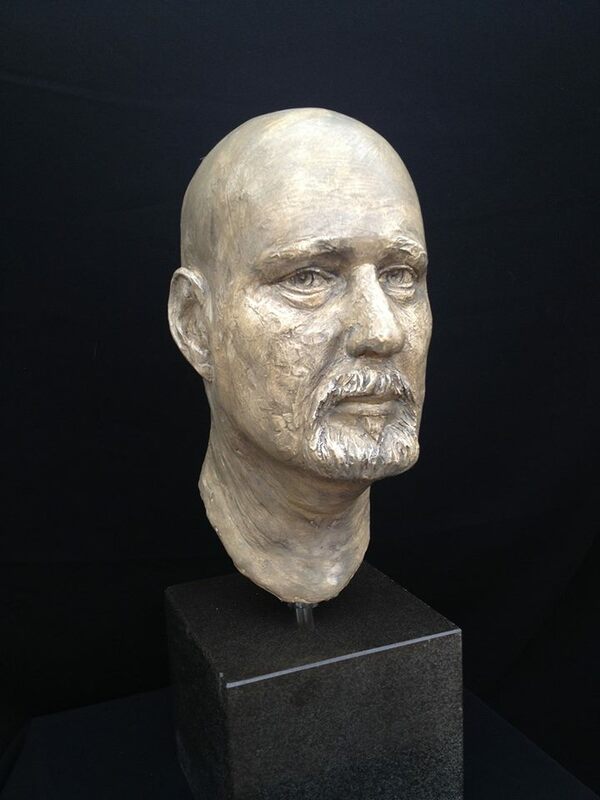 Jennifer’s portraiture is driven by the challenge of capturing the essence or inner psychology of the person being sculpted, something that has always fascinated her, as does the study of faces generally. 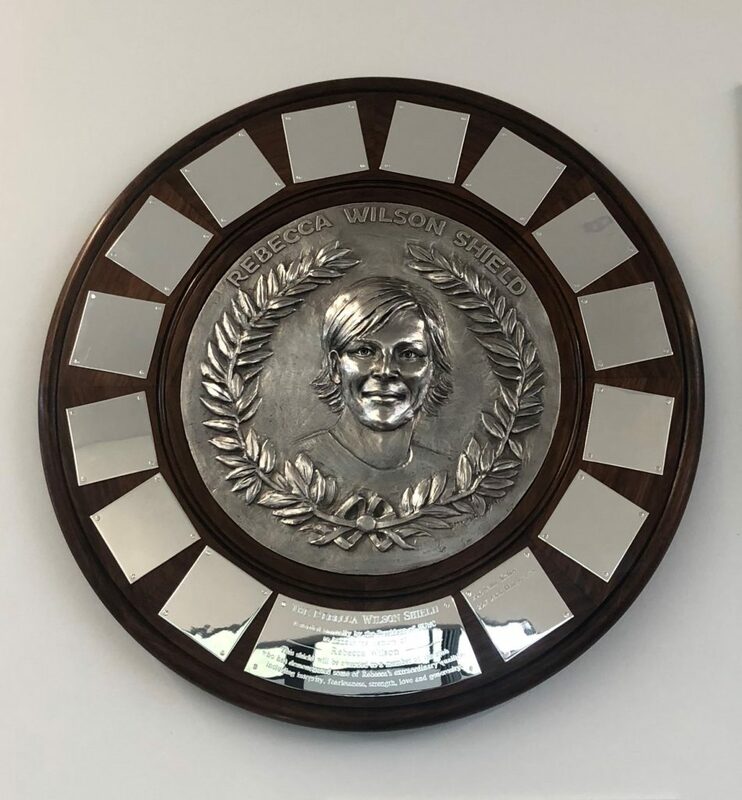 Jennifer has been commissioned to create several bespoke trophies and awards. 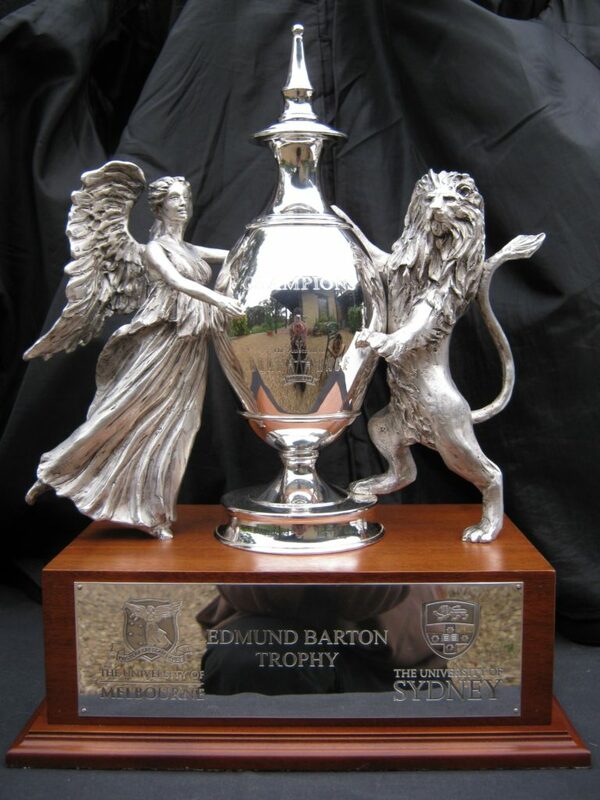 The Great Australian Boat Race – Men’s Trophy. 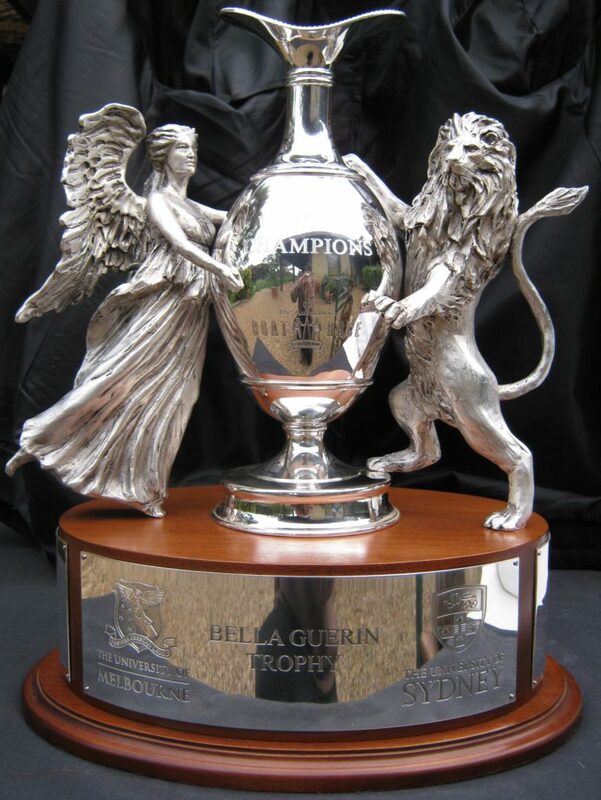 The Great Australian Boat Race – Women’s Trophy. 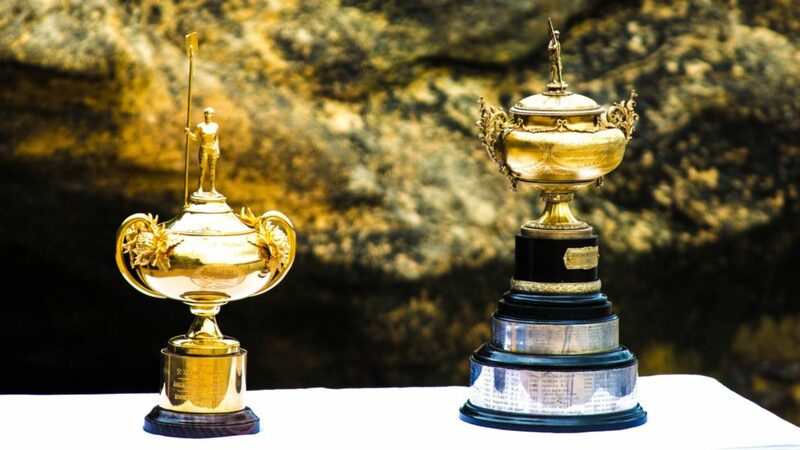 The Riverview Cup – Women’s Trophy (left) beside the original Men’s Trophy. The Glover Prize Highly Commended Award. 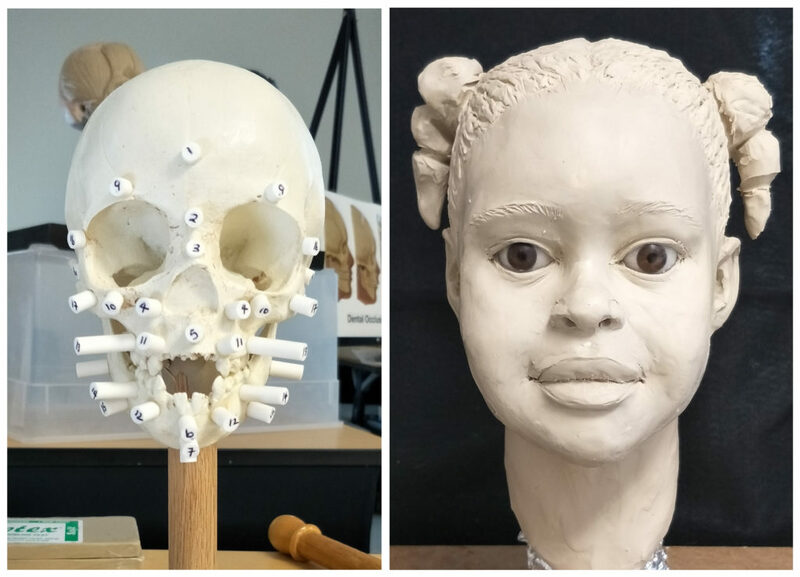 Jennifer studied forensic facial reconstruction sculpture in 2014, 2016 and 2018 under Karen T. Taylor, a leading expert in forensic facial sculpture in the U.S. 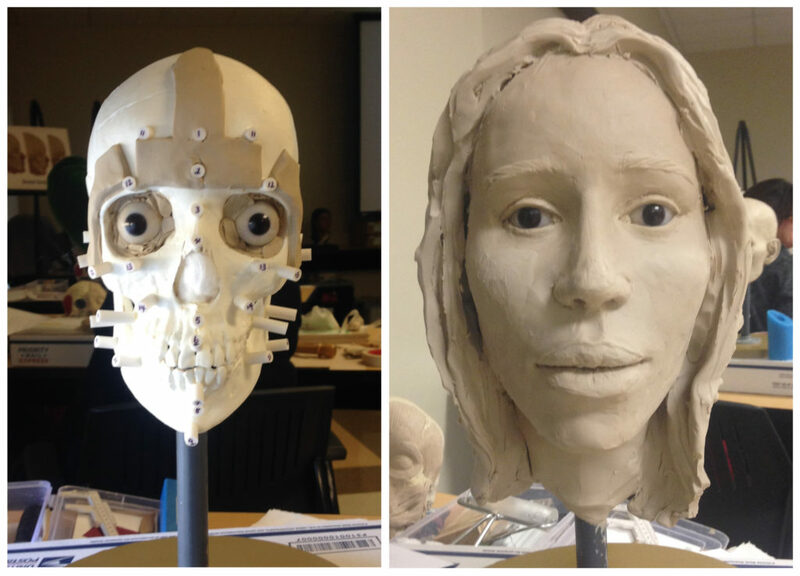 The training was provided at the Forensic Anthropology Centre at Texas State University, and involved learning how to recreate a facial approximation of a person in life from a skull. This required intense study of facial anatomy which is also important to the practice of portrait sculpting. The skills that Jennifer developed during this highly specialised training are used in the areas of forensic crime and historical cases. 3D printed skull; Forensic facial reconstruction sculpture. 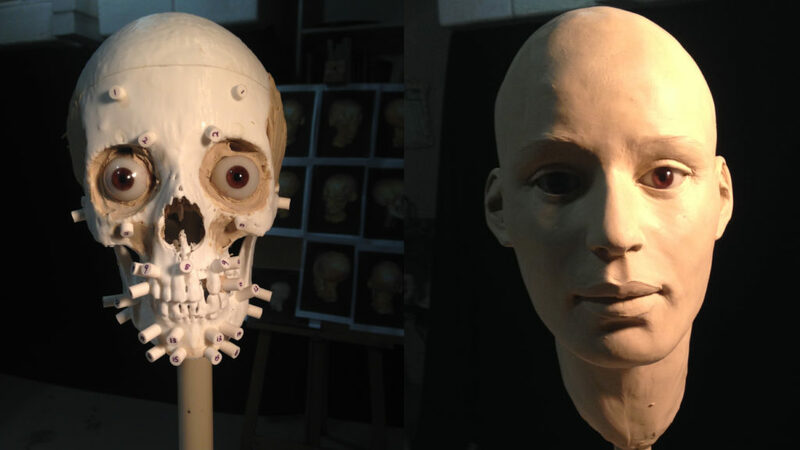 3D printed skull with tissue depth markers and prosthetic eyes; Forensic facial reconstruction sculpture. 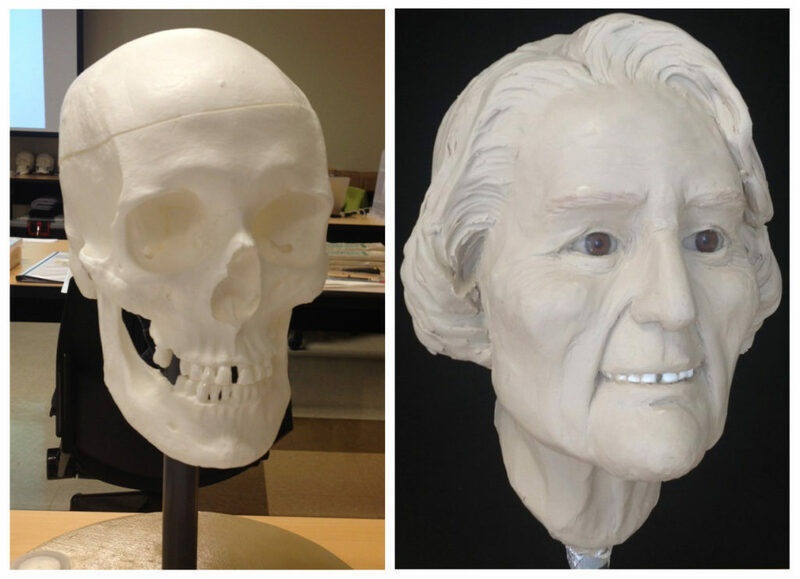 3D printed skull with tissue depth markers; Forensic facial reconstruction sculpture. 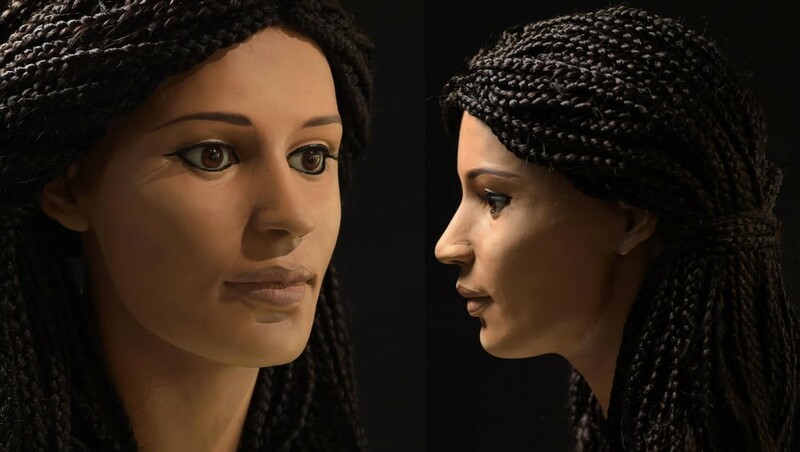 In 2016, Jennifer completed a facial reconstruction sculpture of an ancient Egyptian mummy for the University of Melbourne. The completed reconstruction, along with a 3D print of the skull and the actual ancient mummified head, are on permanent display in the Harry Brookes Allen Museum of Anatomy and Pathology at the University of Melbourne. 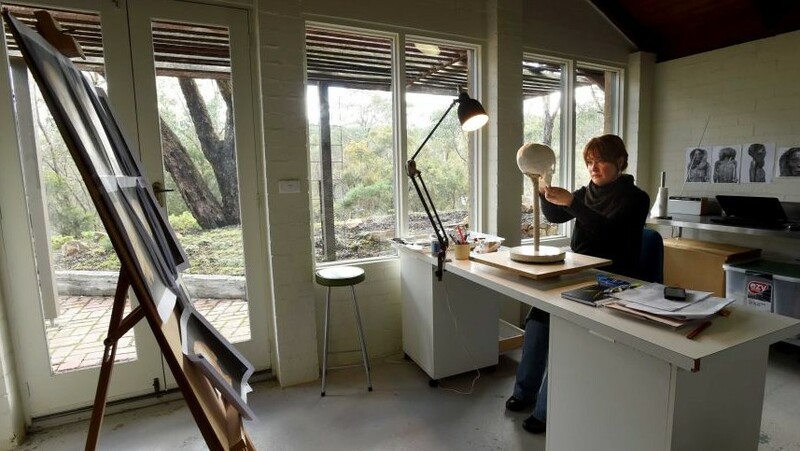 Jennifer in her studio working on ‘Meritamun’. Finished sculpture (Photos: Paul Burston).